Around 1225, the city of Lüberg near the Baltic sea began minting their coins with around 925/1,000 parts Silver and the rest copper to strengthen it. Traders from Lüberg used these coins to trade in London. The English Silversmiths liked this standard and so used it for their jewelry. As the Lüberg traders came from the East, the Londoners called these traders “Easterlings” and so the Silver alloy was called “Easterling Silver”, or for short, “Sterling Silver”. This entry was posted in Uncategorized and tagged Coins, Silver, Silversmith, Sterling silver on November 23, 2011 by Captain Belaq. “He who was sitting” is either the Father or the Son, being strong as stone, and, like Landscape Jasper, has a great many designs. 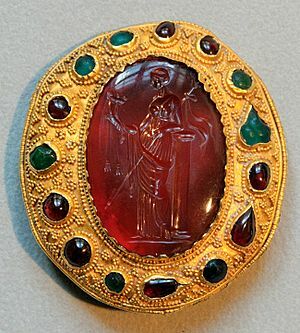 Sardius is the same thing as Carnelian, which has a deep orange color, through which we can see a portion, and then the stone is too deep to see any further, just like God. The rainbow around the throne is not like an Emerald in the sense that the rainbow is green all through, it means that each color is beautiful and vitreous like an Emerald. 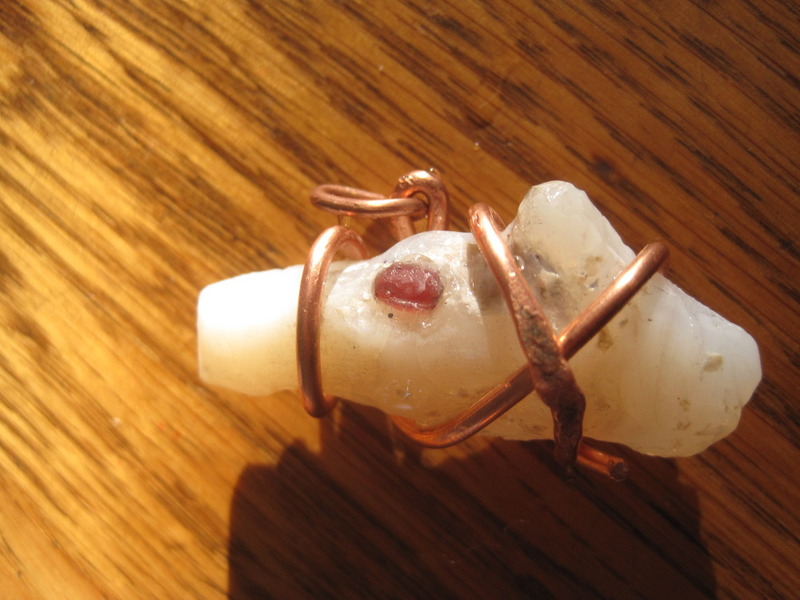 This entry was posted in Uncategorized and tagged Carnelian, Emerald, Jasper on November 17, 2011 by Captain Belaq. The term “Garnet” actually refers to a group of six or seven Minerals, not one solitary stone. Here I will cover the most popular and widely known type, Pyrope. I have noticed the term Garnet is usually used for Pyrope, and so I use it likewise. 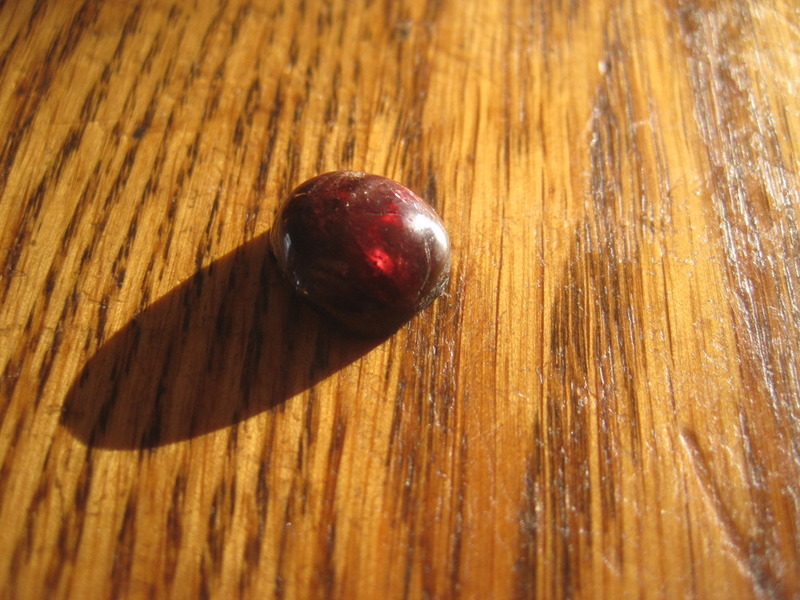 Garnet probably got its name from granutus, meaning stones of grain. 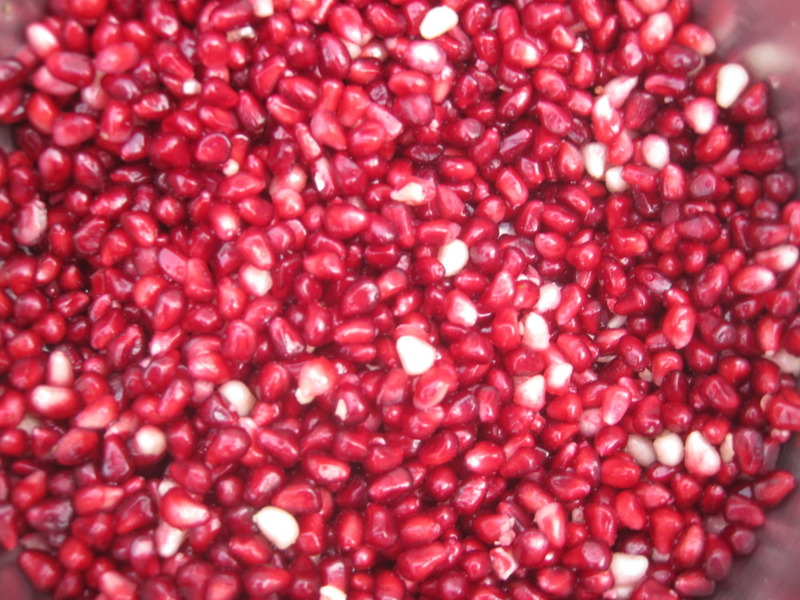 Or else (I think it most likely) it comes from pomegranate, the seeds of which look remarkably like Pyropes! 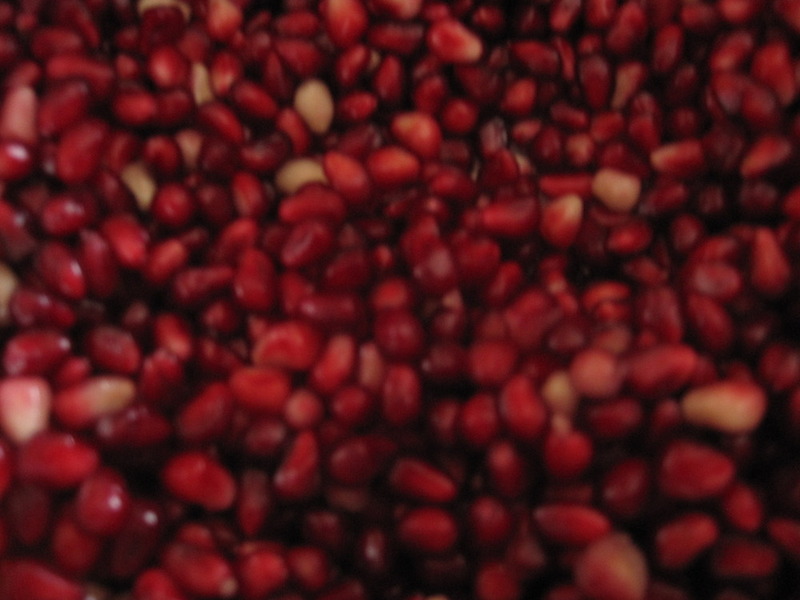 The first two photos are of pomegranate seeds, but the photos didn’t turn out too well, though it is pomegranate season. You have a chance to see the splendor of Pyropes in a pomegranate seed if you do not own any Garnet jewelry. 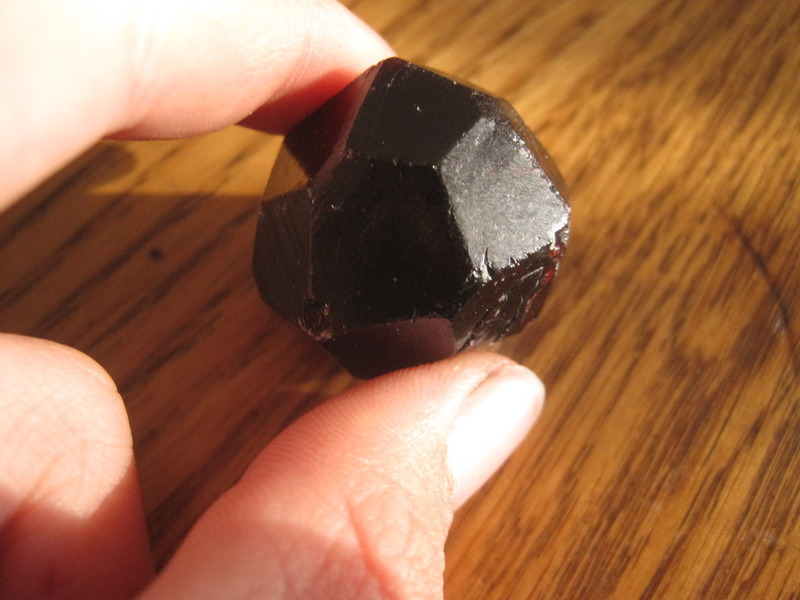 The third photo is a Garnet I cabbed at the Gem Club. Unfortunately this stone has many inclusions. It looks a lot better in the photo than in real life and it has cracked already. This entry was posted in Uncategorized and tagged Garnet, Pyrope on November 15, 2011 by Captain Belaq. 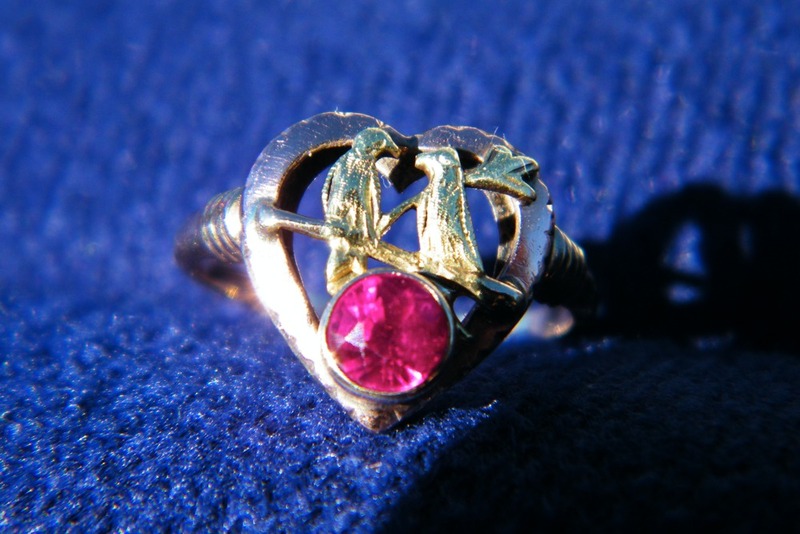 Rubies are colored red from the presence of Chromium Oxide. Rubies, like Emeralds, are rarely flawless, though sometimes there are so many inclusions in the right place that they reflect light in the form of a six-rayed star, creating a star ruby. 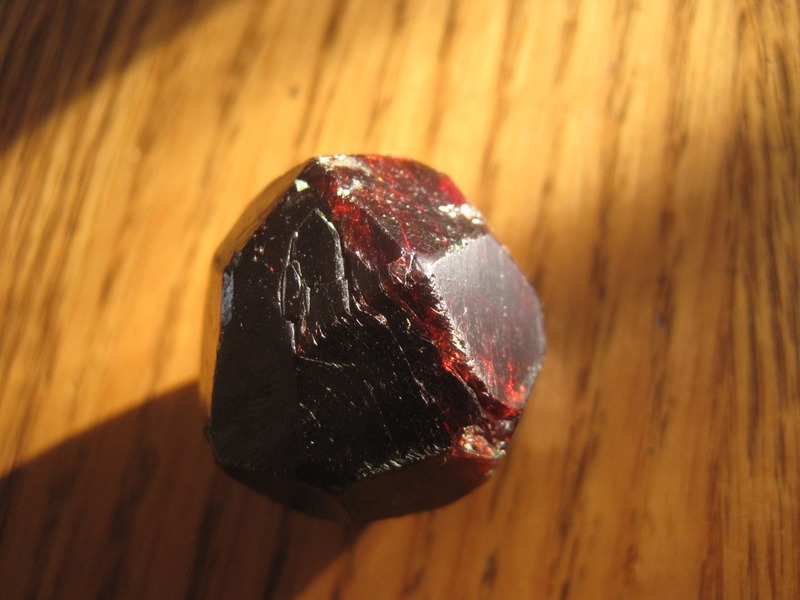 Garnets are very similar, if not exactly, the color of ruby, and are sometimes mistaken for them. Spinels can be exactly the color of Ruby, and are often used to imitate them, being called Balas Rubies. In fact, the Black Prince’s Ruby in the British Royal Crown is not a Ruby, but actually a Spinel! Rubies, though, have a hardness of 9, which no other Gem (except, of course, Sapphire) shares. 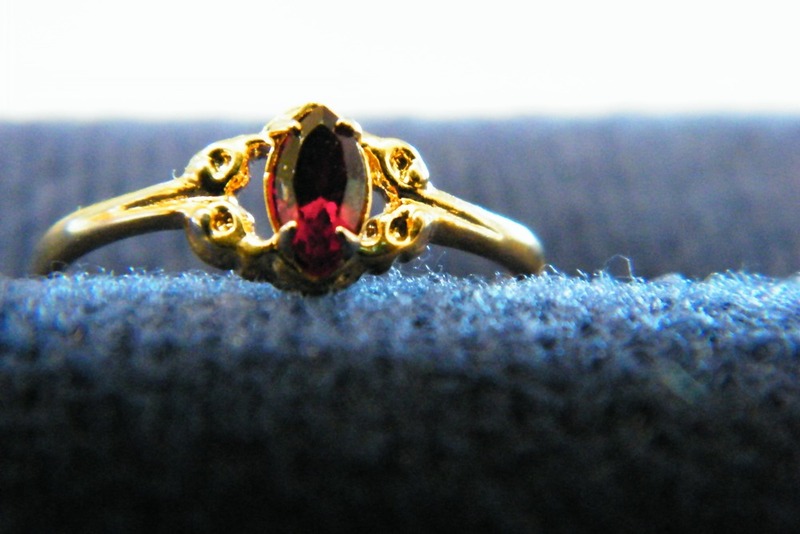 People have discovered how to Lab-grow Rubies, but those rarely have flaws. The second photo may be a synthetic (lab-grown) Ruby. This entry was posted in Uncategorized on November 9, 2011 by Captain Belaq. 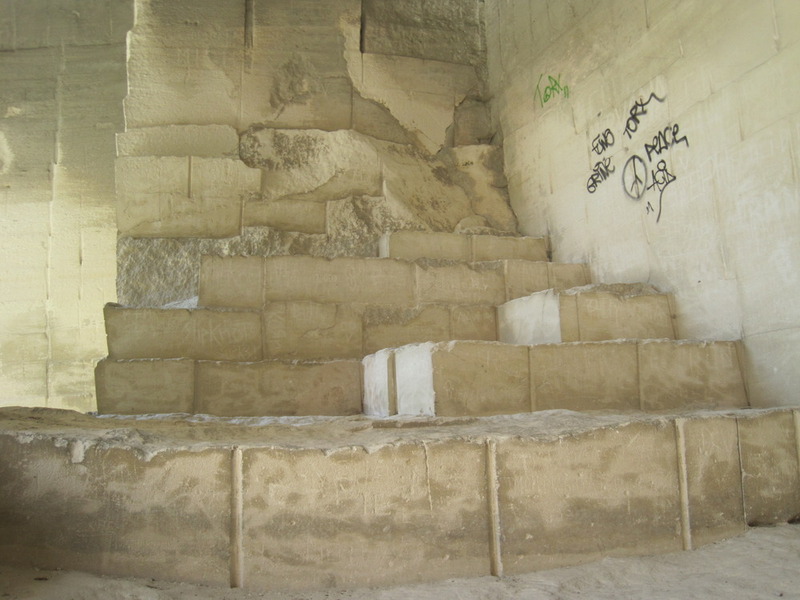 The main part of the Pyramid was made of Limestone blocks approximately wheighing 2.5 tons each! This Limestone probably came from quarries nearby. The Pharaoh’s burial chamber was made of Granite, a hard, strong rock probably used to bear the great wheight of the Pyramid. The outer layer was a very pure, white limestone which was floated and dragged from across the river. Once on the Pyramid, this stone was smoothed and polished to a beautiful gleaming white. 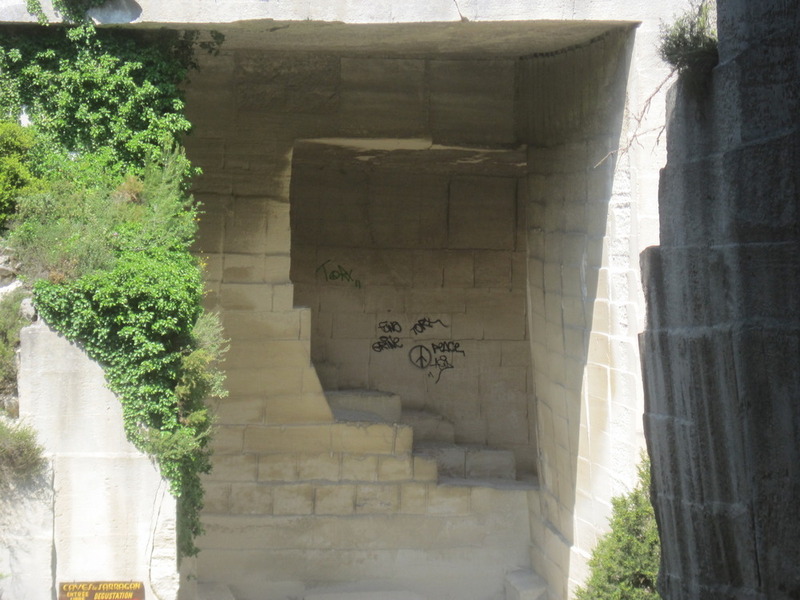 The photos above show a limestone mine in southern france. Dad took a few photos while we were there. This entry was posted in Uncategorized on November 4, 2011 by Captain Belaq.